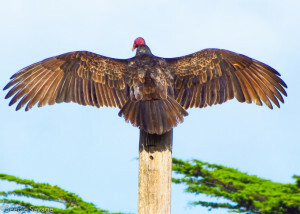 Although Turkey Vultures are feared by some and loathed by many, these birds are actually known to be helpful in the ecosystem and relatively harmless. Enthusiasts even consider them to be intelligent and even affectionate! Turkey Vultures perform an extremely important function in nature, although it may be rather unpleasant for humans to think about. 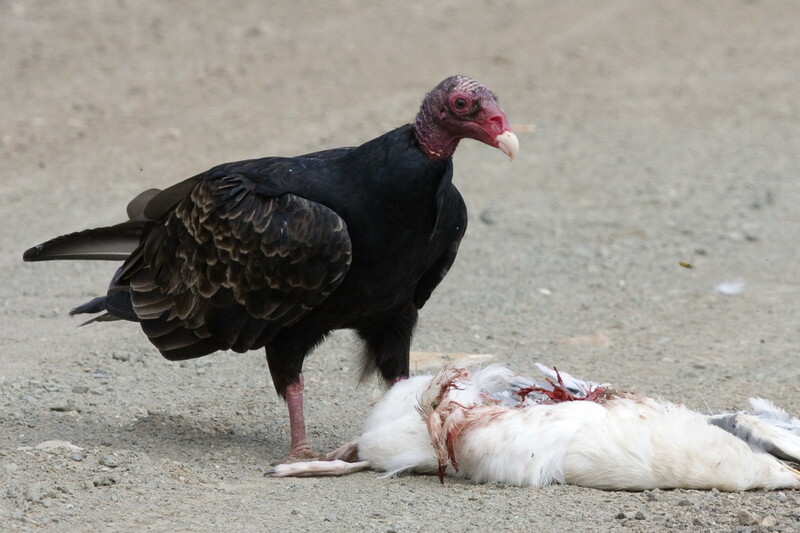 Feeding on animals, which have died, Turkey Vultures do not actually kill an animal. Amazingly, like other vultures, their digestive systems can disinfect viruses and bacteria from animals that have died from disease, preventing other animals from contracting these illnesses. Their sense of smell is extremely keen – they can smell a carcass up to 25 miles away. These raptors also eat vegetable matter and will regurgitate pellets to rid their bodies of indigestible materials. 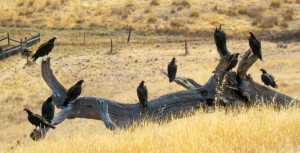 They will communicate with other Turkey Vultures the location of food, and although they may be found alone during the day, generally these birds roost in large groups at night. 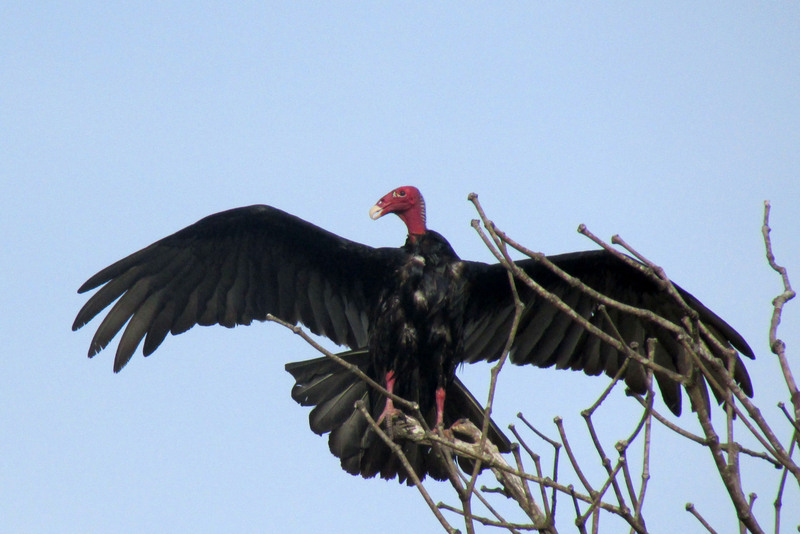 The same family of Turkey Vultures has been known to use the same roosting site for over 100 years! There is a definite hierarchy established at the roost and the birds will communicate with body language. Mating pairs will build their own nests separate from the roosting spot but return when their young have grown. Known to be extremely graceful in flight, Turkey Vultures are rather awkward animals on the ground. If a Turkey Vulture feels threatened, it will regurgitate in the direction of its perceived attacker, which has made them rather unpopular with some bird rescue workers. Some rescue workers who have worked closely with Turkey Vultures claim that that the birds can recognize individual humans and will form bonds with them. Some people with regular habits have reported a Turkey Vulture who would follow them each day on their walk! 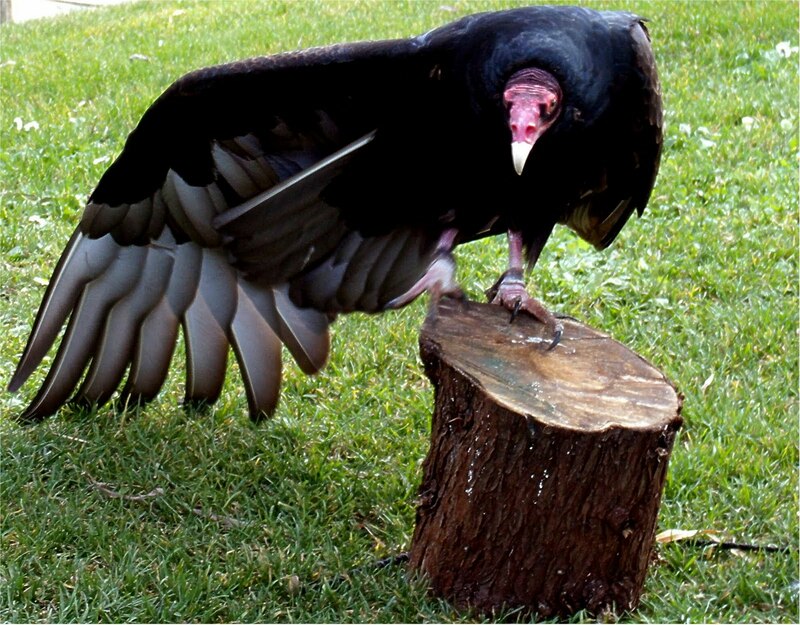 Enthusiasts believe that Turkey Vultures are quite intelligent and can learn very quickly; many can be taught simple games like tug-of-war and will bring toys to their human friends in the same manner a dog might. 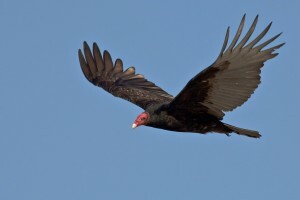 Mature Turkey Vultures are generally around 27 inches in length and may exhibit a wingspan of up to six feet! In flight, they soar with their wings in a V or dihedral shape. They are generally black or dark brown in color, and adults have red heads that lack feathers. 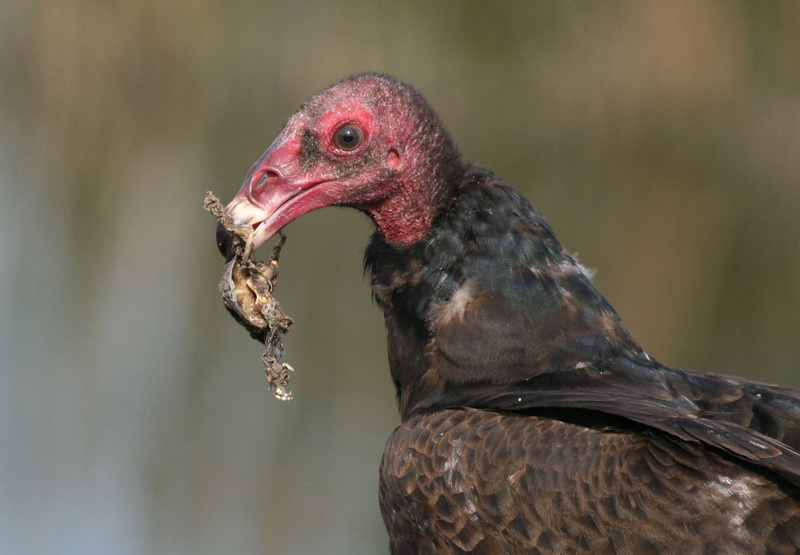 Turkey Vultures have claws, which are very weak, but their protruding beaks are sharp. These birds have large nostrils with an extremely sensitive sense of smell and they can locate carrion from great distances. Most Turkey Vultures are found from southern Canada down into the United States, though sightings have been reported in South America. Some groups living in colder areas will migrate south in the winter. Despite glowing affection from enthusiasts, the Turkey Vulture is not popular with rescue workers who have bad experiences with frightened birds. 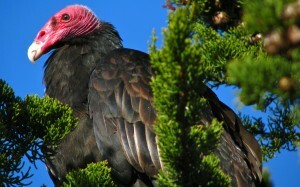 Turkey Vultures will regurgitate at the person who they perceive as a threat and may even bite if pressed. Turkey Vultures will usually lay a clutch of about two eggs. Immature Turkey Vultures have black heads. They build their nests on the ground in sheltered, secluded areas and will sometimes utilize caves for this purpose.